Are you the Science Undergraduate of the Year? We’re searching UK universities to find the outstanding Science Undergraduate of the Year. You will be a team player who wants to use your analytical thinking in a commercial way. A place on Clifford Chance's SPARK scheme and, upon completion of the programme, a trip for two to see the Northern Lights! During your time on the SPARK scheme, you will also take a trip to an international office and have lunch with an intellectual property partner who is the co-head of life sciences at Clifford Chance. We are delighted to introduce the 2019 finalists for this award. The winner will be announced at the Grand Final on 26 April 2019. What makes an award winner? Register your details online and answer two questions set by Clifford Chance. Receive an email inviting you to sit one online test designed exclusively by our partner SHL. Your details must be submitted and all online tests completed by 30 January 2019. If you are successful in getting through to the next stage, you will hear from us by 18 February 2019. If you pass the online tests and successfully make it to the next stage your application will be reviewed by Clifford Chance. This stage will include the Watson Glaser test and an assessment centre on Friday 22 February 2019. The final shortlist of ten students will be invited to the awards ceremony at Canary Wharf, where the 2019 award winners will be announced! We are delighted to be sponsoring the Science Undergraduate of the Year Award. Science is at the forefront of change and we want to support students who are using their science degree backgrounds to shape our future. You don't have to study law to be a lawyer. In fact, we have amazing lawyers from all degree backgrounds, with former doctors, immunologists and astrophysicists working across the business on ground-breaking deals with our clients. Over the past two decades Clifford Chance has cultivated an expertise in the healthcare, life sciences and chemicals industries as well as in adjacent areas such as the food and cosmetics sector. We've worked with many of the world's leading and emerging pharmaceutical, medical devices, chemicals and healthcare services companies. We've helped our clients to launch new products, adhere to regulatory changes and digitally transform their supply chains and product lines. Scientific and technological changes aren't just impacting our clients – they're impacting the legal sector, too. Increasingly we are helping our clients navigate the complexities arising from regulatory issues around automation, cybersecurity and how copyright works in AI-generated tools. Science is helping us, and our clients, to drive change. This new award will celebrate the students who are using their background in science to do just that. "It's a really important and exciting time to be coming into the legal industry as a science student. Having trained as an immunologist, my scientific background has been invaluable in helping me understand my clients' businesses and deliver practical legal advice. It's given me the opportunity to work on technologies that I could never have imagined at University – from life-saving medicines to artificial intelligence. Given the rapid evolution of technology today, I can't begin to think where a career in the law might take you." Stephen Reese, Partner, Intellectual Property. 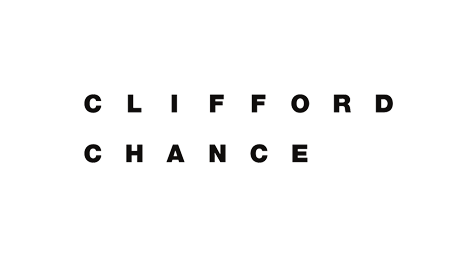 Find out more about Clifford Chance and our graduate opportunities here.